In addition to being regulated by the Fair Debt Collection Practices Act (FDCPA), Pennsylvania collection agencies are also regulated by Pennsylvania debt collection laws. Discover: Pennsylvania collection requirements, bad check laws (NSF), statutes of limitations for both debts and judgments, garnishments plus Pennsylvania collection agency license and bonding information. -Lien against real estate: 5 yrs. -Personal property Ex: 20 yrs. After demand and judgment triple damages in amount equal to $1 00 or 3 times the check amount whichever is greater up to $500. 100%of wages, certain pensions, retirement accounts & Keogh plan under certain circumstances, and $300. 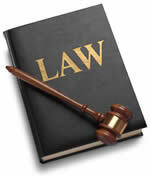 (3) The collection agency complies with the act of December 17, 1968 (P.L. 1224, No. 387), known as the Unfair Trade Practices and Consumer Protection Law, [FN1] and with the regulations promulgated under that act. (b) Appearance for creditor.–It is unlawful for a collection agency to appear for or represent a creditor in any manner whatsoever, but a collection agency, pursuant to subsection (a), may bring legal action on claims assigned to it and not be in violation of subsection (c) if the agency appears by an attorney. (b.1) Unfair or deceptive collection methods.–It is unlawful for a collector to collect any amount, including any interest, fee, charge or expense incidental to the principal obligation, unless such amount is expressly provided in the agreement creating the debt or is permitted by law. (c) Furnishing legal services.–It is unlawful for a collection agency to furnish, or offer to furnish legal services, directly or indirectly, or to offer to render or furnish such services within or without this Commonwealth. The forwarding of a claim by a collection agency to an attorney at law, for the purpose of collection, shall not constitute furnishing legal service for the purposes of this subsection. (d) Services for debtor.–It is unlawful for a collection agency to act for, represent or undertake to render services for any debtor with regard to the proposed settlement or adjustment of the affairs of such debtor, whether such compromise, settlement, or adjustment be made through legal proceedings or otherwise, or to demand, ask for, or receive any compensation for services in connection with the settlement or collection of any claim except from the creditor for whom it has rendered lawful services. (e) Running for attorneys.–It is unlawful for a collection agency to solicit employment for any attorney at law, whether practicing in this Commonwealth or elsewhere, or to receive from or divide with any such attorney at law any portion of any fee received by such attorney at law. This subsection does not prohibit the established custom of sharing commissions at a commonly accepted rate upon collection of claims between a collection agency and an attorney at law. (g) Grading.–Whoever violates any of the provisions of this section is guilty of a misdemeanor of the third degree. This act shall be known and may be cited as the Fair Credit Extension Uniformity Act. This act establishes what shall be considered unfair methods of competition and unfair or deceptive acts or practices with regard to the collection of debts. “Communication.” The conveying of information regarding a debt directly or indirectly to any person through any medium. “Consumer.” A natural person residing in this Commonwealth who owes or is alleged to owe a debt or one who has incurred or is alleged to have incurred liability for the debt within this Commonwealth, including, but not limited to, a comaker, guarantor, surety or parent if the consumer is under 18 years of age. The term includes the consumer’s guardian, executor or administrator. “Creditor.” A person, including agents, servants or employees conducting business under the name of a creditor and within this Commonwealth, to whom a debt is owed or alleged to be owed. “Debt.” An actual or alleged past due obligation, claim, demand, note or other similar liability of a consumer to pay money, arising out of a single account as a result of a purchase, lease or loan of goods, services or real or personal property for personal, family or household purposes or as a result of a loan of money or extension of credit which is obtained primarily for personal, family or household purposes, provided, however, that money which is owed or alleged to be owed as a result of a loan secured by a purchase money mortgage on real estate shall not be included within the definition of debt. The term also includes any amount owed as a tax to any political subdivision of this Commonwealth. Tax includes an assessment, any interest, penalty, fee or other amount permitted by law to be collected. Debt does not include any such amount owed to the United States or the Commonwealth. (1) A person not a creditor conducting business within this Commonwealth, acting on behalf of a creditor, engaging or aiding directly or indirectly in collecting a debt owed or alleged to be owed a creditor or assignee of a creditor. (i) Any officer or employee of a creditor while, in the name of the creditor, collecting debts for such creditor. (ii) A person while attempting to collect a debt on behalf of a creditor, both of whom are related by common ownership or affiliated by corporate control, if the person acting as a debt collector does so only for creditors to whom it is so related or affiliated and if the principal business of the person is not the collection of debts. (D) concerns a debt obtained by such person as a secured party in a commercial credit transaction involving the creditor. Persons included within this subparagraph shall be considered creditors and not debt collectors for purposes of this act. (iv) A person while serving or attempting to serve legal process on another person in connection with the judicial enforcement of a debt. (v) A person who is an elected or appointed official of any political subdivision of this Commonwealth, who collects or attempts to collect a tax or assessment owed to the political subdivision which employs the person, while that person is acting within the scope of his elected or appointed position or employment. (i) A creditor who, in the process of collecting his or her own debt, uses a name other than his or her own which would indicate that a third person is collecting or attempting to collect the debt. (ii) An attorney, whenever such attorney attempts to collect a debt, as herein defined, except in connection with the filing or service of pleadings or discovery or the prosecution of a lawsuit to reduce a debt to judgment. (iii) A person who sells or offers to sell forms represented to be a collection system, device or scheme which is intended or designed to collect debts. (iv) A person, other than an elected or appointed official of any political subdivision of this Commonwealth, who collects or attempts to collect a tax or assessment owed to any political subdivision of this Commonwealth. “Location information.” A consumer’s place of abode and his telephone number at such place or his place of employment. “State.” Any state, territory or possession of the United States, the District of Columbia, the Commonwealth of Puerto Rico or any political subdivision of any of the above. (a) By debt collectors.–It shall constitute an unfair or deceptive debt collection act or practice under this act if a debt collector violates any of the provisions of the Fair Debt Collection Practices Act (Public Law 95-109, 15 U.S.C. § 1692 et seq.). (vi) after the creditor knows the consumer is represented by an attorney with regard to the subject debt and has knowledge of or can readily ascertain such attorney’s name and address, not communicate with any person other than that attorney unless the attorney fails to respond within a reasonable period of time to communication from the creditor. (iii) at the consumer’s place of employment if the creditor knows or has reason to know that the consumer’s employer prohibits the consumer from receiving such communication. (vi) Except as provided in paragraph (1), the placement of telephone calls without meaningful disclosure of the caller’s identity. (ii) The acceptance by a creditor from any person of a check or other payment instrument postdated by more than five days unless such person will be notified in writing of the creditor’s intent to deposit such check or instrument not more than ten nor less than three business days prior to such deposit. (C) the property is exempt by law from such dispossession or disablement . (viii) Using any language or symbol, other than the creditor’s address, on any envelope when communicating with a consumer by use of the mails or by telegram, provided that a creditor may use its business name. (c) Definition.–For the purpose of subsection (b)(2) and (3), the term “consumer” includes the consumer’s spouse, parent (if the consumer is a minor), guardian, executor or administrator. (b) Jurisdiction.–An action to enforce any liability created by this act may be brought in any court of competent jurisdiction in this Commonwealth within two years from the date on which the violation occurs. (c) Remedies.–Remedies available for violation of this act and the Fair Debt Collection Practices Act (Public Law 95-109, 15 U.S.C. § 1692 et seq.) shall not be cumulative, and debt collectors who violate this act and the Fair Debt Collection Practices Act shall not incur cumulative penalties. (2) resulted from good faith reliance upon incorrect information offered by any person other than an agent, servant or employee of the debt collector or creditor. The provisions of 37 Pa. Code Ch. 303 (relating to debt collection trade practices) are repealed. Knowing and abiding to the proper Pennsylvania debt collection laws is important for both creditors and collection agencies alike. There are debtor’s rights attorneys who are just waiting for creditors or collection agencies to slip up. If you mistakenly violate the Pennsylvania debt collection laws, you could create a liability for your business and even open yourself up to a expensive lawsuit. Please note: Pennsylvania debt collection laws can change over time, and you need to consult with an attorney before you use this information.